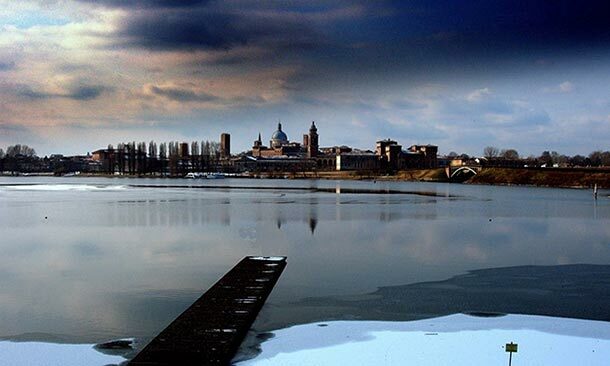 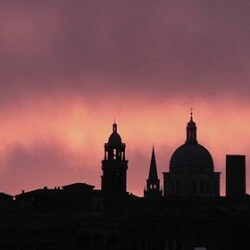 MANTOVA in winter is pure magic! 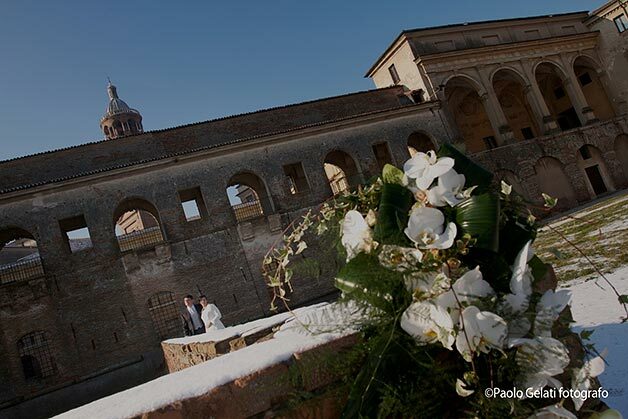 That’s why Elena and Dario decided to get married in such a special place! 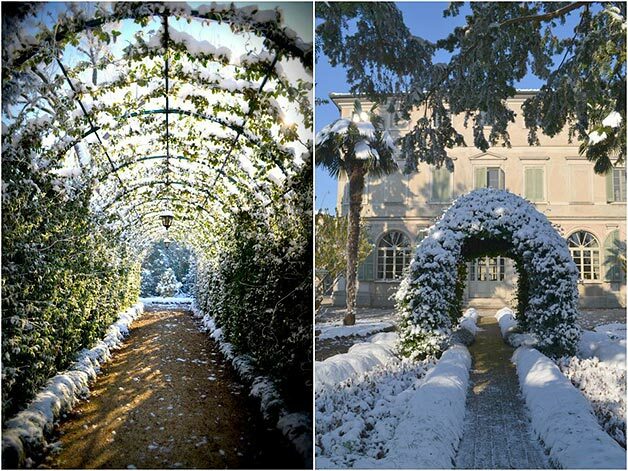 They wanted an intimate and dreamy setting for their winter wedding, in fact they got married in December! 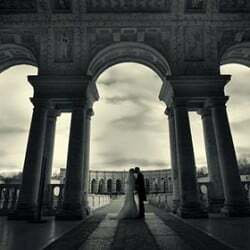 lena and Dario wanted a close event so they invited their parents and their closest relatives. 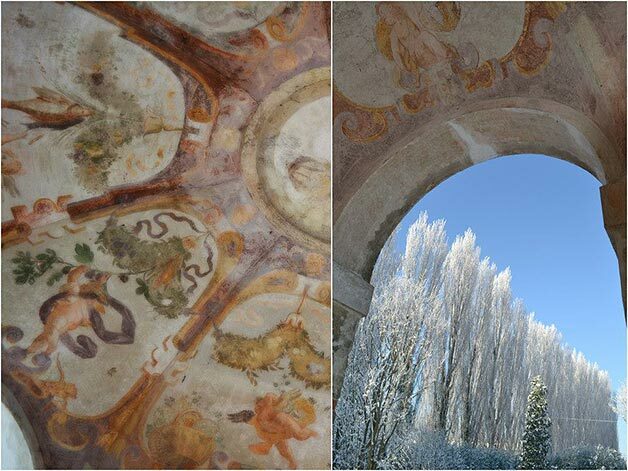 Some may think that this lake could loose some charm during the cold season, but for those who prefer winter, and are fascinated by the snow and the iced water, this can be the perfect choice. 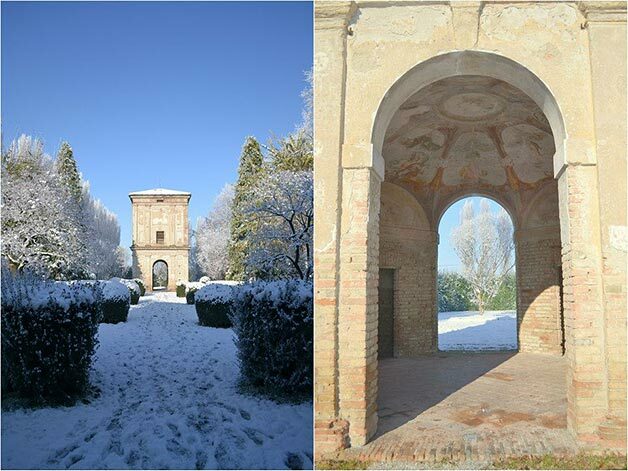 Moreover this winter dream is surrounded by ancient and splendid palaces like Castello di San Giorgio, just the perfect frame for wedding pictures! 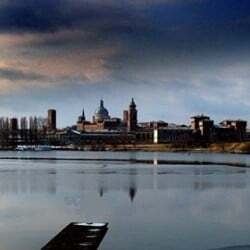 The sky on Mantua lake is clean and the light makes everything brighter on a sunny winter day! 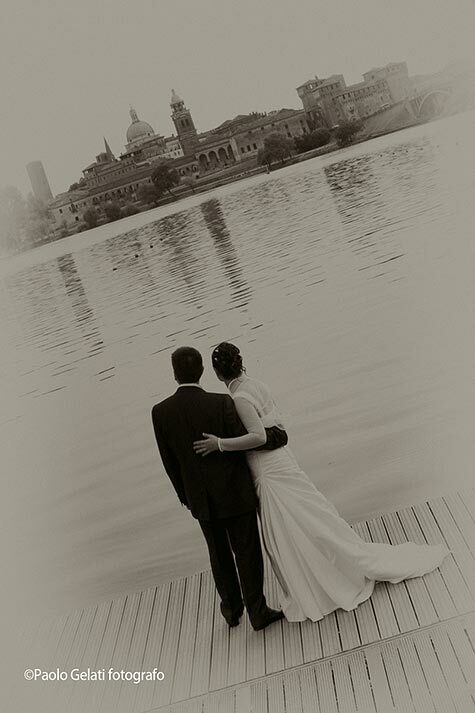 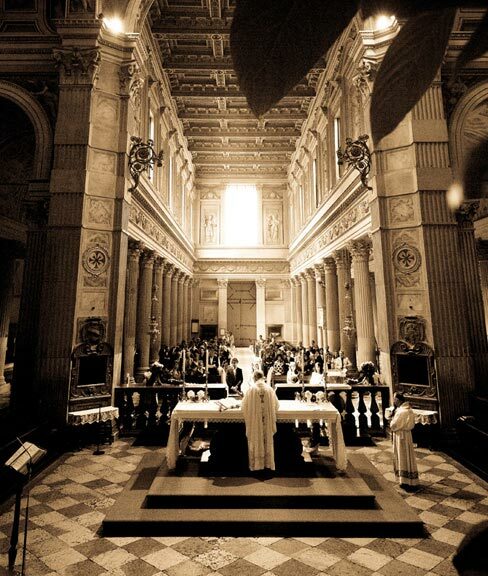 An intimate catholic ceremony was held inside the beautiful Duomo in Mantova with a stunning architecture and just a few steps from Mantua Lakes, so that after the Mass the couple walked through the main square surrounded by Renaissance palaces and reached the lake to take some pictures. 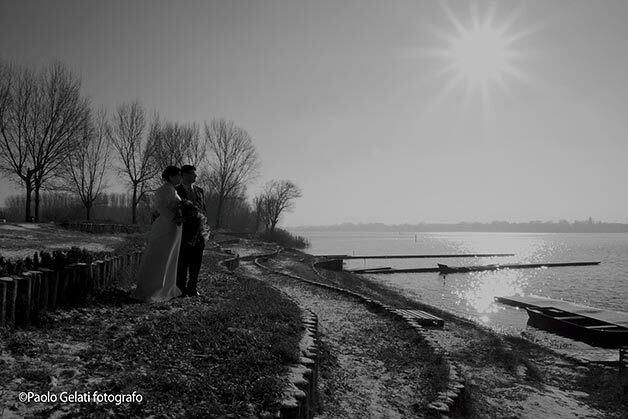 For their reception Elena and Dario chose Villa Negri just 10 minutes drive from Mantova city center. 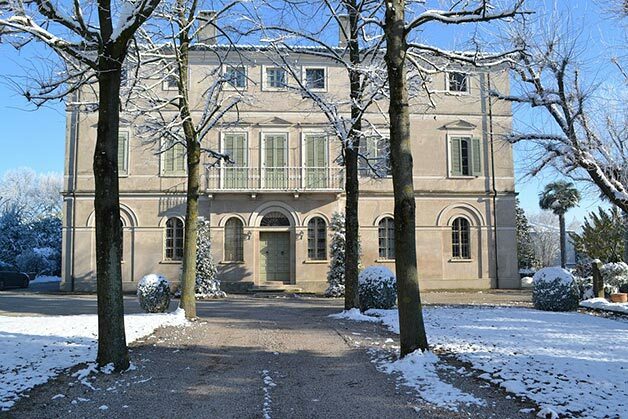 Here in the photos you can see how was the Villa before their arrival. 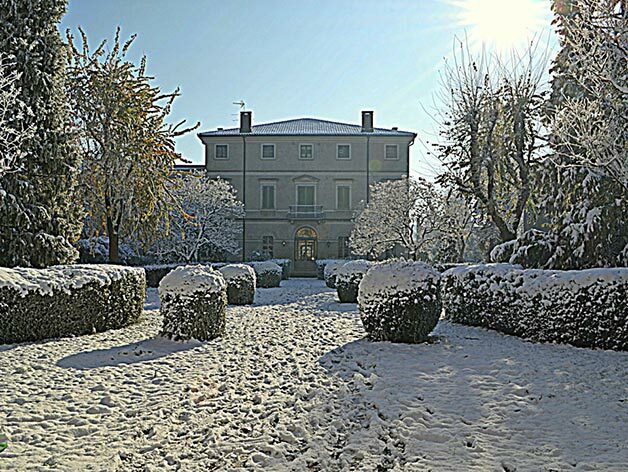 Located in a large park in the quiet countryside, Villa Negri belonged to the noble family Gonzaga and now it is the ideal place for the most exclusive occasions, like Elena and Dario wedding. 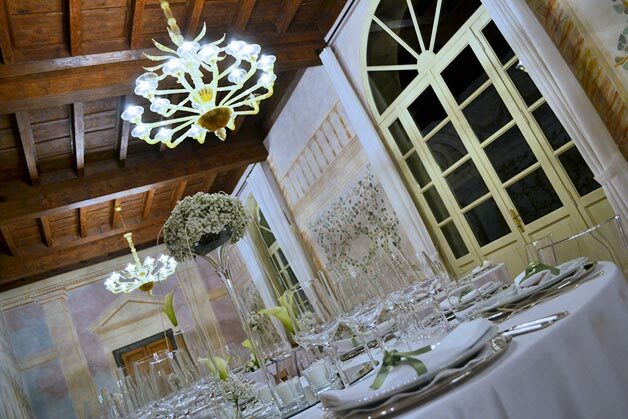 Important details are the frescoed halls, enriched by the beautiful flower arrangements chosen in the white and green color pattern like all the wedding details. 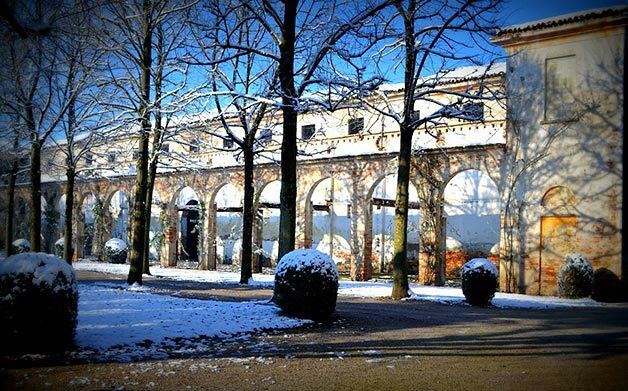 The beautiful park was shining thanks to the snow on the ground that reflected all the light. 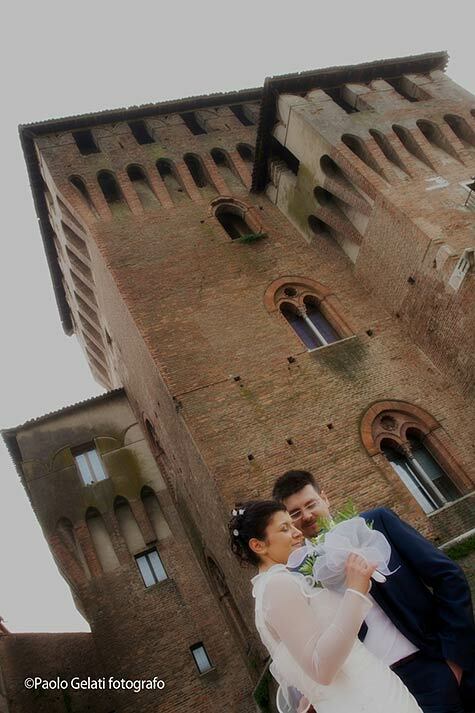 The frescoed tower and the elegant and pleasant atmosphere in the villa made it the ideal place for a dream wedding. 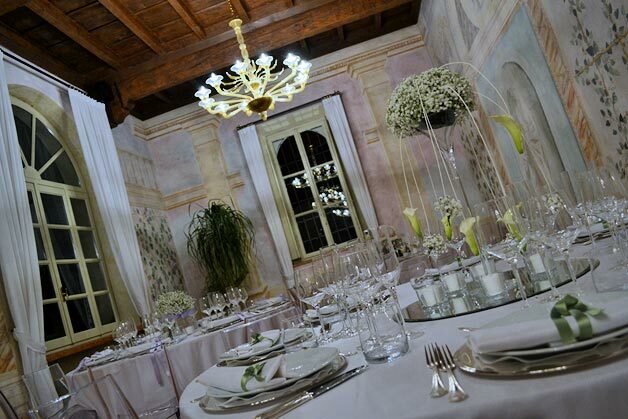 Bride and groom with their guests had the villa in exclusive use for the whole wedding day. 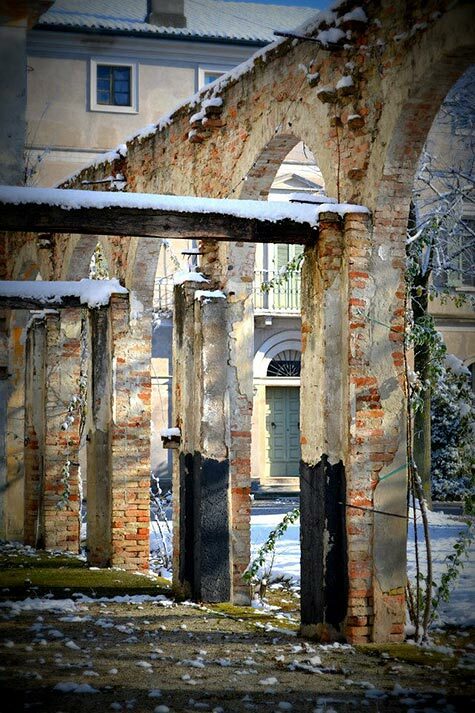 The warm rooms of the Villa welcomed them. 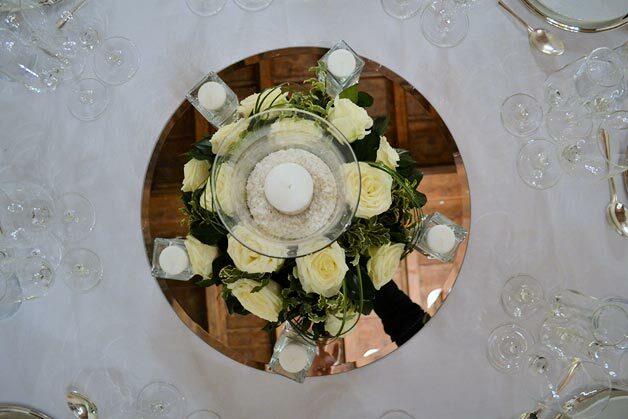 With the fireplace, the wooden beams on the ceiling that was a warm and elegant atmosphere. 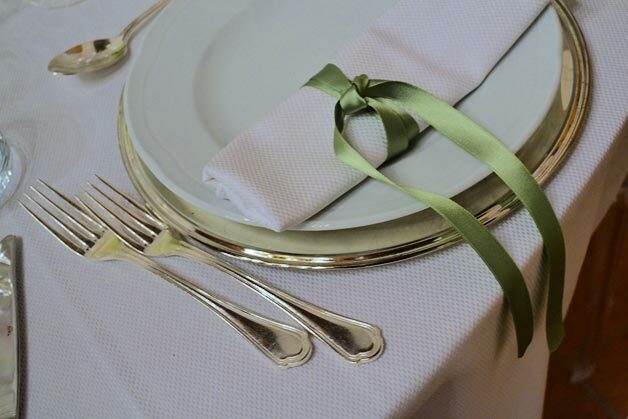 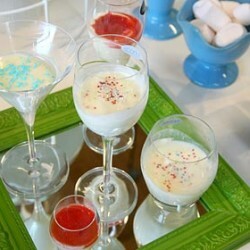 A perfect choice to celebrate their wedding and the season’s greetings!